Facebook CEO Mark Zuckerberg's trip to India has already come to an end but the lingering effects can still be seen. His 2013 addition of allowing photos in comments seems to be going swell. 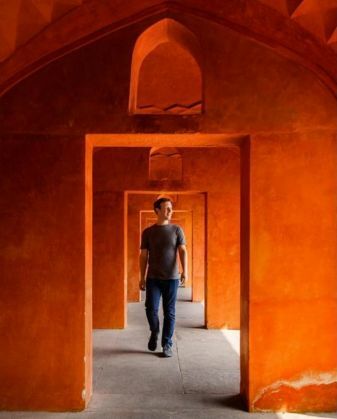 At 10 AM India time on Tuesday 3 November, Zuckerberg put one last photo form his trip. This time it was of the Taj Mahal with the caption, "I can't wait to come back soon!" One last photo walking around the Taj Mahal. I can't wait to come back soon! The post has already garnered 435,000 likes 6,400 comments and 3,100 shares. 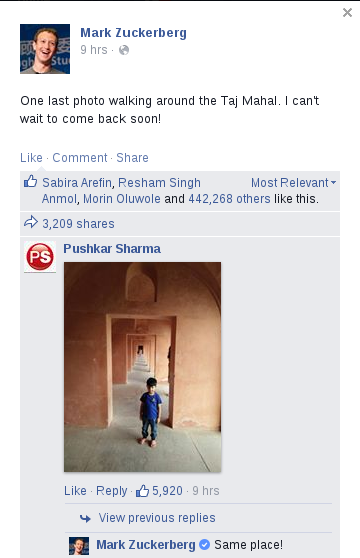 Immediately, Pushkar Sharma, from Kanpur in Uttar Pradesh, posted a picture of his kid, almost the exact same shot garnering a reply from Zucky himself. It got 5,800 likes approximately. 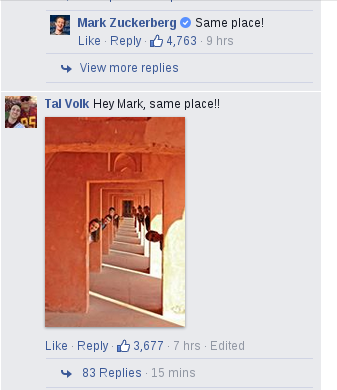 Zuck's reply, "Same place" has 4,700 likes in itself. Some other comments read, "Mark Zuckerberg just commented on your photo comment. Wow!" and "Mark Zuckerberg you've inspired the entire world! keep going the W twins could've never gotten to this!" Then another picture came of the exact same place, just different people, getting 3,672 likes. This started a back and forth of, "like my picture", "visit my place," and so on. 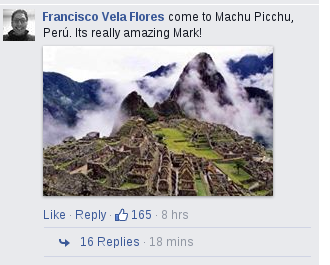 One of the places being recommended to Mark Zuckerberg was Machu Pichu, a 15th-century Inca site in Peru. These are a sampling of the many comments the post has received, "Next time whenever you come in India try Rajasthan." "You will find that India is so much more than the Taj Mahal" "But if u Come to south india, u can find adorable places than Taj mahal. [sic]"
Mark Zuckerberg, do stay longer in India. Next time, travel all over India, and realise that there is a lot more to India than the 'iconic' Taj Mahal.